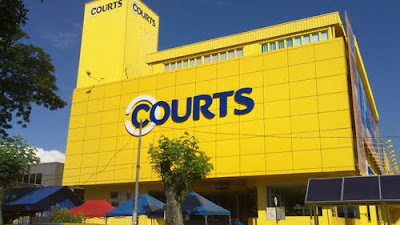 Courts announced today that from 26 October 2012 its stores around Malaysia will offer shoppers the opportunity to learn and experience Apple's range of innovative products - including the complete range of iPad, iPod, and Mac and a wide range of accessories. Courts will celebrate the availability of Apple products with a number of special offers and promotions available in the store, running from 26 October - 30 November 2012. Customers at Courts will have access to knowledgeable experts who will be available to help them learn about all the latest products from Apple including the Resolutionary new iPad with 5MP iSight camera and A5X chip, the new iPod touch engineered for maximum funness, and the MacBook Pro with Retina Display, the world's highest resolution notebook. Offering service and advice for first time users, small business owners or anyone interested in Apple products, Courts will also offer regular in-store demonstrations and training to help customers get the most out of their purchases. Courts will also offer Courts FlexiCredit* to help make ownership of an Apple product easier and more affordable. *A proprietary credit offering from Courts, Courts FlexiCredit is the store’s own flexible credit payment plan that can be tailor made to suit and complement the modern lifestyle of today’s consumers. With a whole range of payment options, FlexiCredit allows more people to purchase on terms that suit them.